If you've been reading this blog for the past year then you know I've been writing and editing a new book - the first in a series. These characters and this story are my heart and I have been writing furiously (aside from when I chose to procrastinate by baking, which... was fairly frequently - but I just LOVE baking!) so that I can bring the story to you. The cover is officially done! And I'm kind of freaking out because of how much I love it. When I discussed my plan (to query agents while simultaneously self-publishing through Amazon) with The Amazing Molly, she put me in touch with her coworker - Tom Francesconi. He and I sat down and discussed the characters, the plot and how prominently Boston plays a role in the story. And from there he came up with a handful of potential designs. What's interesting is that the cover I had originally conceived of in my head wasn't the flashiest cover he created. And for me, I really wanted the cover to be eye-catching. 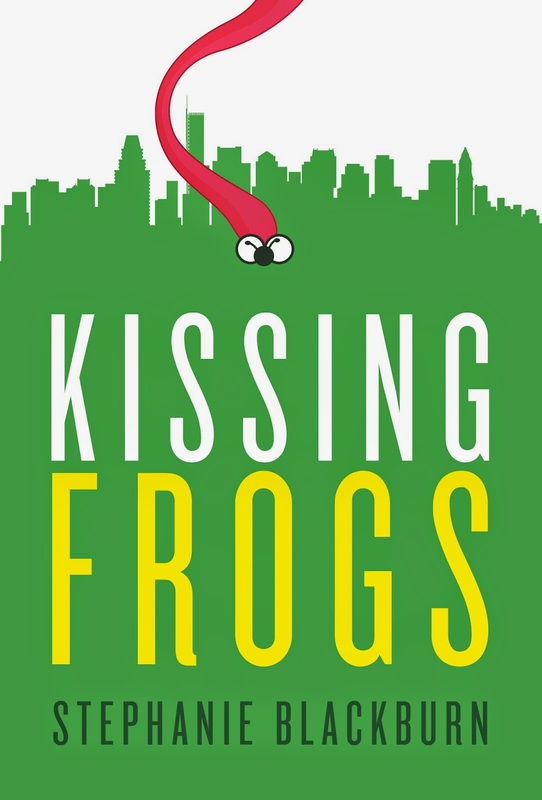 I imagine someone reading KISSING FROGS on the T and other commuters being drawn to it and not being able to turn away. And then presumably they go online and purchase it. So the cover I ultimately went with is the one that kept drawing my eye in. And that's probably because of the Boston skyline. What can I say? I adore this city. At twenty-four, Elliott Roux is what some might call privileged. She comes from a wealthy Boston family and adores her grandmother. The best part of her week is when the two of them have Sunday brunch together in The Public Garden and watch the swan boats. Elliott has a close-knit group of friends, loves her roommates, has a decent job downtown that doesn’t require much effort, and adores her city. But while her life may seem perfect on the surface, her family is falling apart and she feels like she doesn’t know her mother anymore, maybe never did. And then there’s the issue of men. Elliott is always dating the wrong guys. They seem normal on the first date, but she feels like she brings out the crazy in them. Like the guy who confessed to being an adrenaline junkie, who thought it fun to taser himself. Or the stage-five clinger who suggested on their third date, with no hint of sarcasm, that they get a dog together. Despite her bad luck, Elliott isn’t about to give up on dating. After all, bad dates make for fantastic stories. And really, what’s better than reminiscing with girlfriends over brunch, recounting dates gone awry? It’s just a question of whether Elliott can find a balance between her friends, her family drama, and the social scene in Boston. She is nothing if not determined, and sometimes you have to kiss a few frogs before you find your prince. Are you ready to fall in love with Boston? Yahooooo! It's really real. I can't wait to get my hands on a copy!